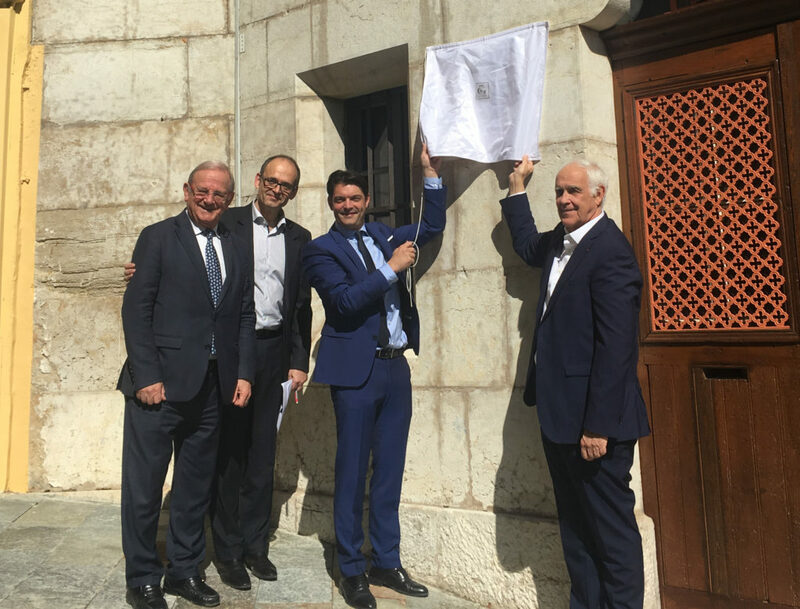 Mr Philippe Maubert, CEO of Robertet Group was very proud to inaugurate the renovated façade of the Hugues Aîné building rue Mirabeau in Grasse on Saturday 23rd March, in the presence of Me Turrilo, President of the Fonds Baudelaire, of Mr Jean-Pierre Leleu, Senator and Mr Jérôme Viaud, Mayor of Grasse City. This building was the first address of the oldest perfumery of Grasse since 1799 before becoming Charabot. A great moment shared by many Grasse lovers.